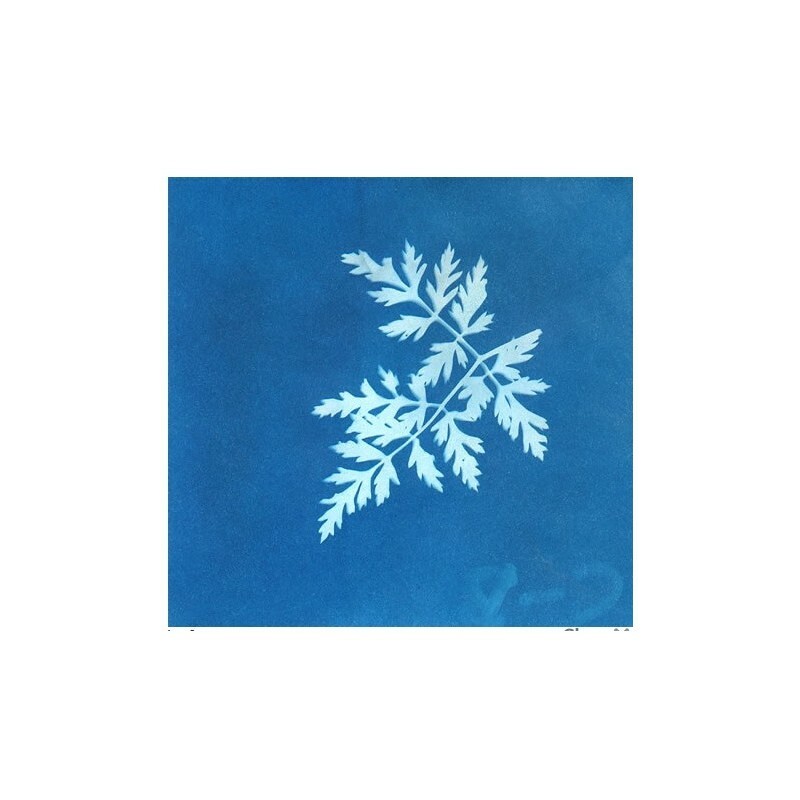 Make a photographic print using only nature and creativity with this sunprint kit. Collect flowers, leaves or small objects and arrange them on the special Sunprint paper and place in the sun for a few minutes. Available in Standard and Super sizes and refills for both sizes! The Standard Kit & Super Kit are currently out of stock and due back later in 2018. 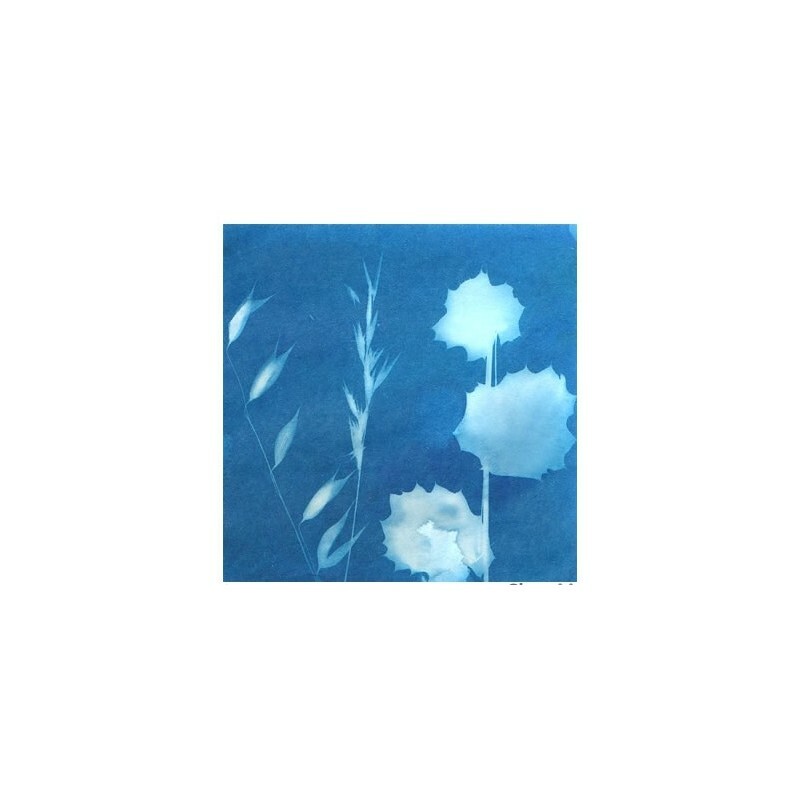 A sunprint kit is a fun and unique way to make a photographic print using green foliage, flowers, shadows, or any everyday object. The special sunprint paper goes through a chemical change when exposed to light. Collect flowers, leaves or small objects and arrange them on the special Sunprint paper and place in the sun for a few minutes. 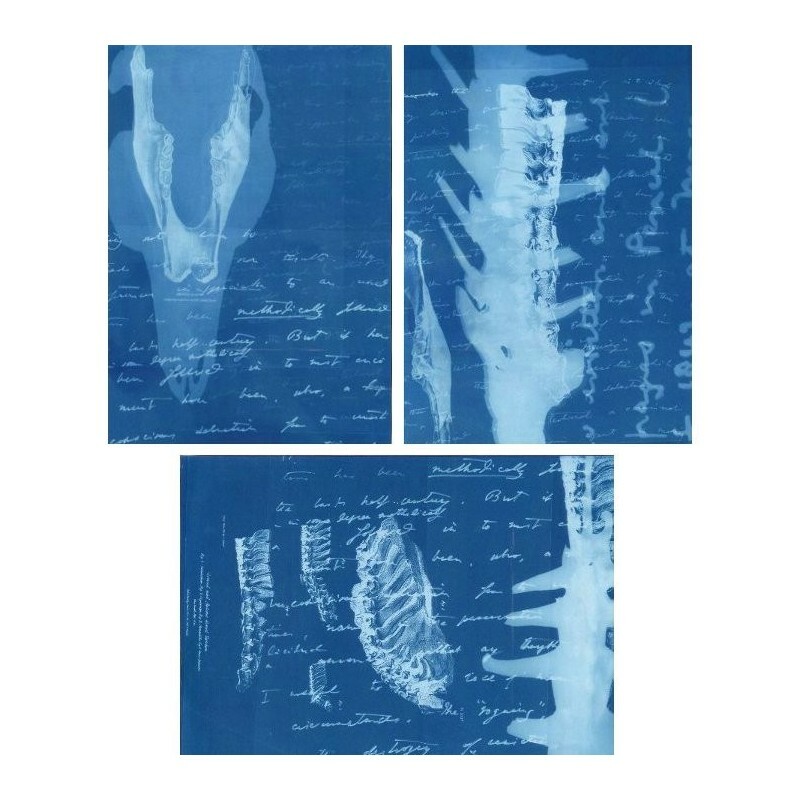 The objects will leave a print on the paper, which is then rinsed in water to set the image. Once your print is dry you can use it however you like, to decorate, frame or give to someone special. 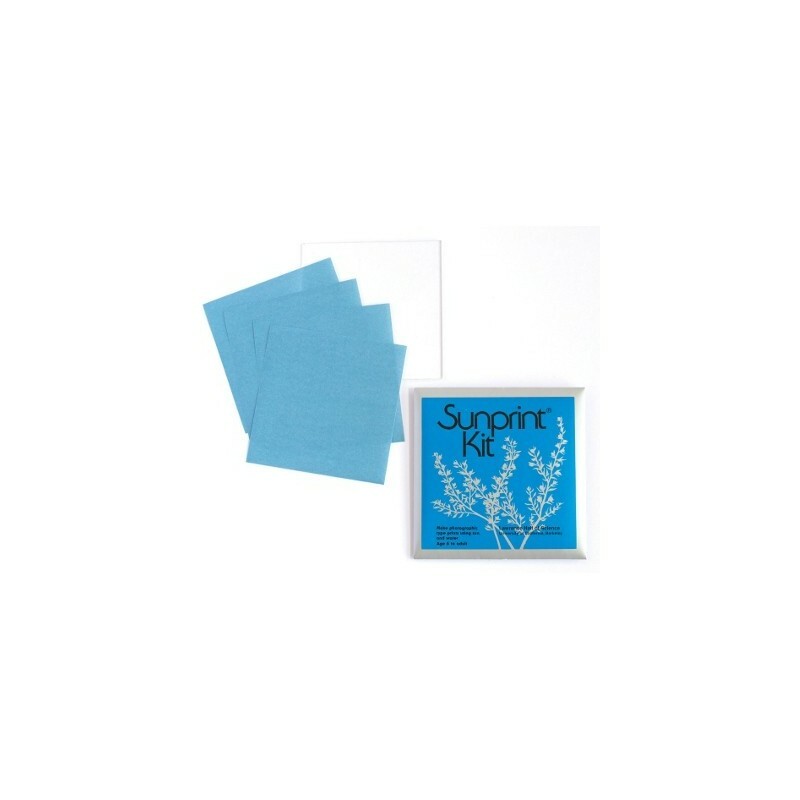 Standard Kit: 12 x 10cm square blue paper, 1 x 10xm square acrylic paper, full instructions. Standard Refill: 12 x 10cm square blue paper. 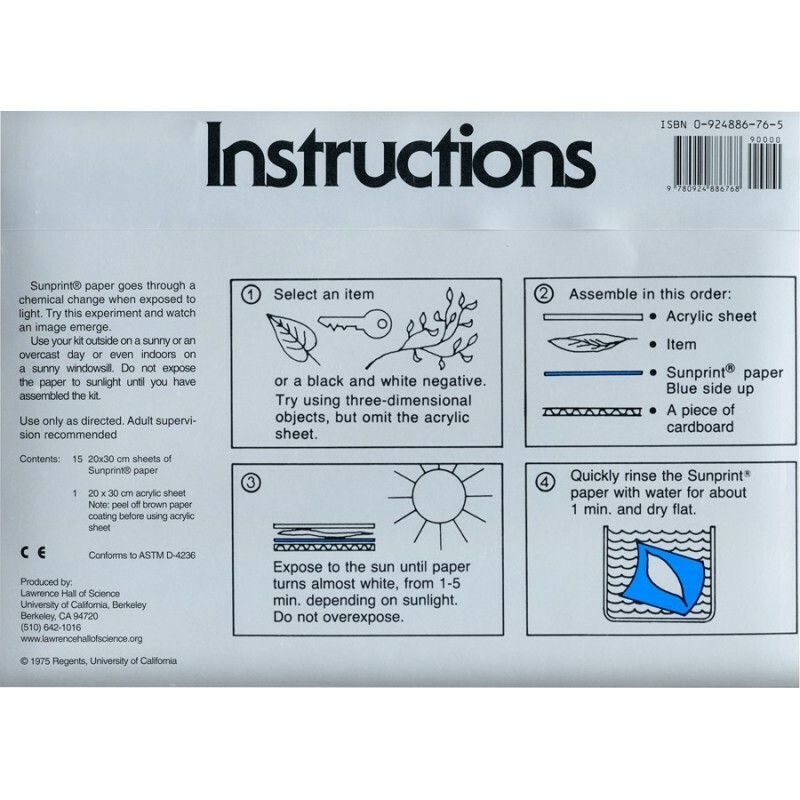 Super Kit: 20 x 30cm blue paper (15 sheets), 20 x 30cm acrylic sheet (1 sheet), full instructions. Super Refill: 20 x 30cm blue paper (15 sheets). Originally developed as a teaching tool by educators at the Lawrence Hall of Science on the University of California Berkeley campus, USA, all proceeds from the sale of Sunprint Kits continue to aid our mission to inspire and foster the learning of science and mathematics for all. Browse all our craft kits. Can't wait to give this to my younger sister-in-law who is very creative and clever! I imagine I'll be buying more sheets for her in the future! Children have enjoyed experimenting with these sunprint kits, the use of which is straight-forward (with adult supervision for younger kids) and quite quick. It's great to see refills available too.